Port Houston, the second-largest petrochemical port in the world, allowed ships to access one of its two container ports and Norwegian chemical shipper Odfjell's terminal on Friday as energy infrastructure walloped by Harvey continued showing signs of recovery. Multiple chemical producers still had force majeures in place, telling customers they would not be able to fulfill their contracts because of Harvey, often because logistics were stalled by the storm. Harvey dumped more than 51 inches of rain in the Houston area after coming ashore at the middle of the Texas coast a week ago as a Category 4 hurricane, forcing more than 50% of US ethylene capacity to shut down. Port Houston said no ships could yet move north of the Bayport container terminal, which is just north of Odfjell's terminal near the mouth of the Houston Ship Channel. 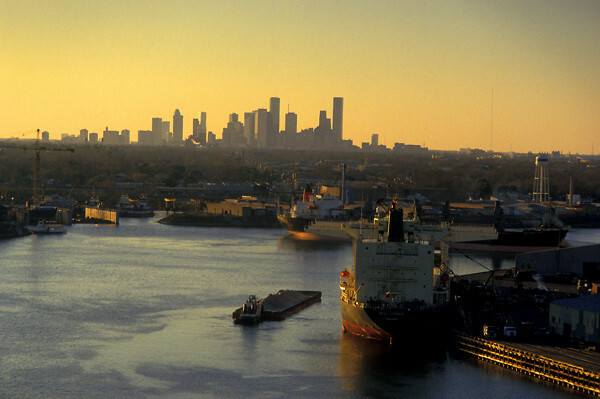 However, barges and tug boats could traverse the channel and nearby ports in Galveston, Texas City and Freeport. However, ports in Beaumont, Port Arthur and Orange in southeast Texas remained closed and may not open to vessel traffic until Tuesday or Wednesday next week, according to the Sabine Pilots, the organization that oversees vessel movements and safety for those ports. Currents from Harvey's floodwaters were too strong to allow vessel traffic. * Port Houston allowed ships to Odfjell's terminal and the port's Bayport container terminal, but restricted all other traffic in the Houston Ship Channel to barges and tug boats. * Ports in Beaumont, Port Arthur and Orange could remain closed until Tuesday or Wednesday because currents were too unsafe for vessel traffic post-Harvey, Sabine Pilots said. * The US Coast Guard opened the Port of Corpus Christi in Texas for the first time since Hurricane Harvey landed a direct hit August 25, but kept some restrictions in place because it has not finished surveying all channels and inlets in the harbor. * The Union Pacific and BNSF railroads continue to assess storm damage and are unsure when rail lines along the Texas-Louisiana coast might reopen. * Plastic pellet packaging companies were resuming operations, with some pellets arriving by rail and trucks able to move packaged pellets to ports. Marc Levine, CEO of Plantgistix, said he expects business to return to normal once plants restart and ports fully reopen.